Marketers “sent” emails in 1995. They were fresh and manually made-to-order. Today, marketers “set” emails. They’re pre-made, automated, and usually very effective. But these automated emails just aren't as fresh. Sure, some pull fresh content from blogs or other regularly updated assets, but most also don’t. Instead, many marketers simply set up an email and use it for months. This presents a hurdle for lead nurturing marketers. The challenge? Keep workflows fresh, or risk rotten results. As a result, they have to monitor and update campaigns to prevent spoilage. After all, no one will click a moldy-looking email. And whenever you need to update a lead nurturing workflow -- or get better results from a few laggards -- it’s best to start with the workflows that smell worst: the poor performers. Luckily, you can sniff them out with analytics. In this post, we'll explain just exactly how you can identify and diagnose the source of those rotten lead nurturing campaigns -- and how you can revive them! Identify your poor performing campaigns by checking the following four metrics using your marketing analytics tools. Marketing Qualified Leads (MQLs): According to Forrester, companies that excel at lead nurturing generate 50% more sales-ready leads. If a campaign earns far fewer MQLs than your average, then it likely needs a tweak or an update. Sales Accepted Leads: Use closed-loop analytics to make sure each campaign is contributing to earned customers. One that generates a lot of reconversions but few customers requires some attention. The cause may be misalignment between your marketing and sales teams, or a faulty nurturing strategy. Cost-per-Customer: Emails, webinars, ebooks, case studies, and other promotions cost time and money. A campaign that uses more resources on average to earn a single customer can benefit from tweaks to improve efficiency, perhaps by offering better/different content or adjusting its schedule. Time to Customer Conversion: According to Marketing2Lead, prospects nurtured in automated workflows have a 23% shorter sales cycle. Therefore, another gauge of efficiency is the average time it takes to nurture prospects into customers. Campaigns that fall short or require an increasing amount of time should get some attention. 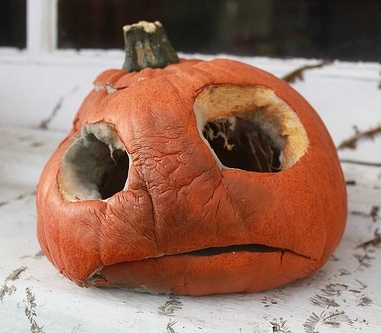 Once you've compiled a list of rotten campaigns through investigation of your analytics, your next goal should be to locate the source of decay for each of your workflows. Here are five places to check. Are you sending the email at the right time? Delivering an email at the wrong time buries it under a horde of messages that fill the inbox before a prospect can go through them. You may need to test new days, times, or frequencies for your campaign. Research from MarketingSherpa indicates 34% of B2B marketers nurture leads on a monthly basis, and 22% nurture on a weekly basis. Furthermore, about 35% to 50% of sales go to the vendor that responds first, according to research from InsideSales.com. Is it easy to recognize the sender’s name and address? People are inundated with spam. As a result, they hesitate to open email from unfamiliar senders. Make sure prospects can recognize the sender. It’s often wise to use your brand name or something else the prospect is familiar with. Does the subject line grab attention and spur interest? Even if prospects anticipate your email, you need to clearly communicate: “Hey, you’ll love this!” The subject line needs to be clear and direct and specifically convey what prospects will receive. Are your emails often marked as spam? Companies who send emails that are often marked as spam are frowned upon by the guardians of email -- also known as ISPs. If those guardians think you're a spammer, they will send your messages to the junk folder, which will bury your emails and open rates. Is the message closely related to the subject line? Your subject line should not mention topic A if the email discusses topic Q. The email's subject line should directly refer to what’s inside, and the email itself should fulfill that promise. Is the message short and direct? The lead should be able to see the value offered in the email within five seconds. As such, the call-to-action should be very obvious. Is the message personalized with information in your contacts database? According to the Aberdeen Group, personalized emails improve clickthrough rates by 14% and conversion rates by 10%. Use details and information in your marketing database -- such as personal information or activity/behavior -- that you've already collected about your leads to personalize your emails and give your messages more impact. Here are 33 examples of dynamic tags you can use to personalize your email sends to get you started. Is the call-to-action obvious, direct, and compelling? Do not merely suggest the action you wish prospects to take? Be more direct, by using compelling verbs and creating a sense of urgency with such verbiage as “download now” or “sign up today.” When they open the email, the CTA button or link should scream for attention. Here’s an example of a recent lead nurturing email we've sent from HubSpot. You’ll see that it uses personalization, a short message, a direct call-to-action, and a relative subject line (click image to enlarge). That call-to-action smacks prospects in the face ... in a good way. An email with a strong clickthrough rate but poor conversion rate usually signals a rotten landing page. A landing page can go bad in many ways. Here are some common causes. Lack of Clarity: Your landing page also has to clearly show visitors how to convert. If they clicked “download” to receive your whitepaper, then the landing page should make it very obvious that it exists for this very reason. Use images and clear instructions about how to redeem the offer the lead was promised to decrease chances of landing page abandonment. No Explanation of Value: Companies often describe what is offered without describing why the prospect should want it. Be sure to emphasize how the offer will help prospects improve something they care about, whether it be revenue, time management, health, beauty, etc. 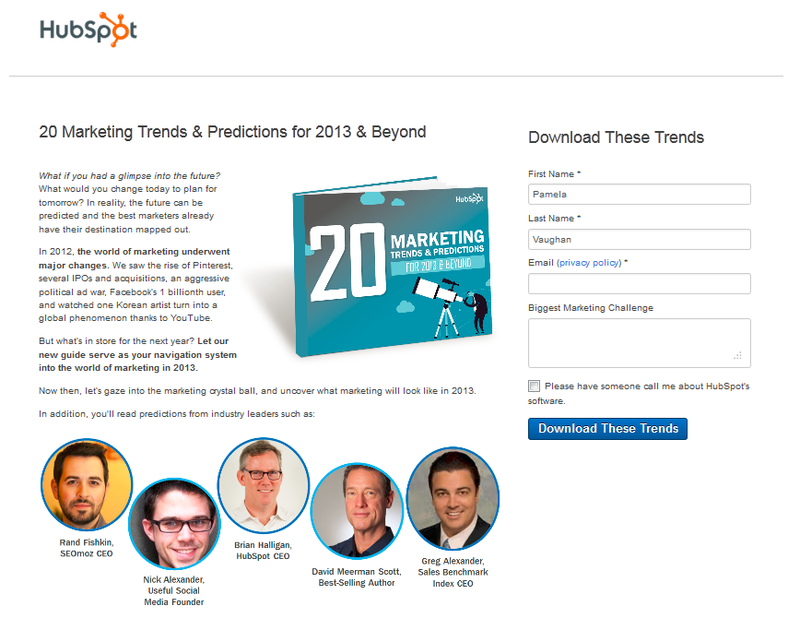 Here’s the landing page for the HubSpot email mentioned in the last section. You’ll see that it aligns with the message of the email, conveys value, leverages Smart Fields, and includes a direct call-to-action. Advice does not account for new developments in the topic. Research and data provided is old and out of date, losing credibility. Companies and products referenced no longer exist. Target audience is no longer interested in the topic. Spike in Opt Outs: Unsubscribe rates should be 1% or less for nurturing emails. Increased Complaints: Have you noticed an increase in your emails' spam rates? Lower Open & Clickthrough Rates: Are people straight up ignoring your emails? Put time and effort into making sure the content you're offering is still up-to-date, relevant, and high quality. If it's not, update it so it is, or swap in offers that are fresh. Partial Relevance: This indicates that a portion of the audience might not be interested in the content of the campaign. This problem requires a review of your opt-in and segmentation strategies. You need to identify these prospects and determine how they are different, how they got onto the list, and how you can better accommodate their needs and interests. Shifts in Behavior: This shows that the audience you're targeting is now interested in new topics, or different content types and channels. Bad Content Mapping: It's possible you're offering content on the right topic, but that it's ill-suited to the prospect’s position in the sales cycle. For example, if you're sending content about your products and services (which is better suited to prospects in the middle of the funnel) to brand new leads who are just learning about your company, then you might want to back up and test sending more top-of-the-funnel, educational content that helps solve the audience’s problems and spur initial interest in your business. Remember, segmentation matters in email marketing. In fact, according to the Lyris Annual Email Optimizer Report, 39% of marketers who segmented their email lists experienced higher open rates, 28% experienced lower unsubscribe rates, and 24% experienced better deliverability and greater revenue. For tips about achieving better email segmentation, check out this list of 27 ways to slice and dice your email list. Extend Its Duration: Consider that prospects might need more time and information before engaging in a conversion with Sales. Talk to your sales team to get a sense for any trends they see in leads that derived from particular workflows. What types of content do they think would make them more sales ready? Dig into your content and tap your content creators to offer something Sales indicates would be a valuable addition for this audience. Then work the offer into the workflow to extend its duration. Expand Your Lead Nurturing Channels: Remember, email isn't the only way to nurture your leads. Encourage leads to connect with you in social media, and then use social media lead management tools to segment and nurture social media followers. For example, you could create a workflow that caters to leads who mention your brand on Twitter, or which targets followers who have clicked on a certain number of your social media updates. Emphasize High-Performing Offer: Conduct an audit to identify your best converting marketing offers. Once you've identified which offers are your high-performers, you can use this intelligence to craft lead nurturing emails that place more emphasis on those influential offers. Here's how to do it. Refine Segmentation Criteria: If you only have two or three nurturing campaign for your leads, then it's definitely time to refine your segmentation and targeting criteria. If you have a sophisticated marketing database that is integrated with your email marketing tool, then you're collecting a lot of information about your leads. Use it! Create specific segments of your audience using the information you know about their interests, needs, and behaviors. To start, create segments based on your various buyer personas. Then craft workflows that offers content that speaks directly to these different groups' needs and interests. Even if you already segment prospects, you may find a splinter group is developing. This may warrant a new nurturing workflow for the breakout group that targets a new profile. You can always get more granular in your targeting criteria. This will only lead to more personalize workflows ... and better conversion rates! Remember, segmentation and personalization make lead nurturing campaigns more effective, but they don't mean you can adopt a "set it and forget it" strategy. Content and emails will always get stale over time, so revisit them on a regular basis to keep them fresh and ensure they continue to deliver more qualified leads and customers.